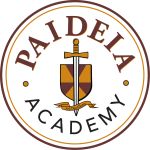 Thank you for your interest in Paideia Academy. We look forward to meeting you! The school tour usually lasts about an hour. NOTE: If you don’t see an available time that works with your schedule, please email our Admissions Director, Tisha Clapp, at tclapp@paideiaknoxville.org with a couple of dates/times that would be convenient for you, and she will get back with you to schedule your appointment.